A family of God for all God’s children. 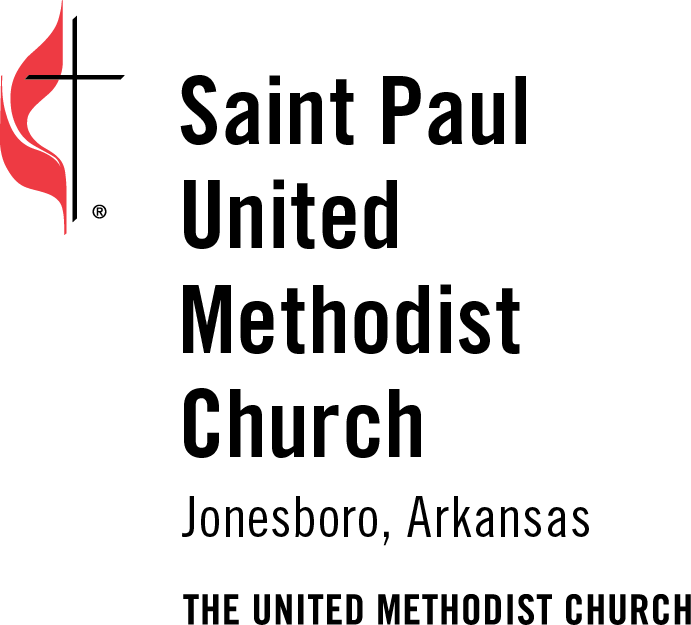 St Paul United Methodist Church was formed in 1955 as a church that would serve the young families moving into the thriving south Jonesboro area. What began as a small sanctuary has grown in a beautiful sanctuary, education building and family life center. Over our sixty year history, many changes have taken place in our world, in our state, and the Jonesboro area. We continually ask ourselves the question every church should ask, “What does God require of us today?” We invite you to consider that question for your life as we consider it for our church. The St Paul United Methodist Church of today reflects many of the values of those first church members but it also calls us to serve and bear witness to our faith in Jesus Christ to our brothers and sisters who live in today’s neighborhood with today’s problems. To reach out in compassion, grow in faith, and transform our community. We believe in the Trinity – Father, Son & Holy Spirit. We believe we are saved by faith in Jesus Christ, the Son of God. We believe as citizens of God’s Kingdom, we are called to a life of discipleship, witness, and service. We see the Kingdom of God as a family. We strive to adopt others into this family and recognize that we were once adopted into this family. We have experienced God’s love, mercy, forgiveness, and grace in this family and believe we should practice the same. We believe the Bible contains all things necessary for salvation. It is the authoritative standard for God’s revelation to humanity. All Scripture should be interpreted through the birth, life, ministry, teachings, death, and resurrection of Jesus Christ. We believe God’s grace is experienced through the sacraments of baptism and communion, Bible-centered preaching and teaching, relationships, prayer, and worship. We believe God has a purpose for our lives and our church. Copyright © 2019 Saint Paul United Methodist Church.